Corb7 International March 14, 2019 Newsletter | Corb7 International, Inc. The Business Side of March 17th! A Tribute to St. Patrick’s Day! This Sunday is St. Patrick’s Day and many consider it their favorite holiday. Celebrations tend to be short on formality, long on fun and synonymous with various sights, sounds and symbols that make the holiday so special. There is of course, a business side to the 17th of March. 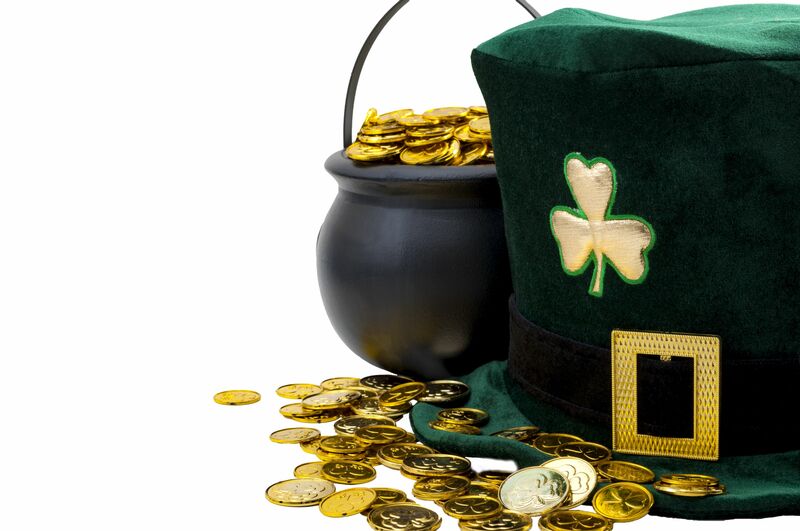 Total spending over St. Patrick’s Day could get as high as $6 billion, as people shell out for plenty of corned beef and fake leprechaun beards. More than 125 million Americans plan to mark the occasion in some way, which is approximately 30x the population of Ireland. We thought it might be fun to take a quick look at this holiday for its history, cuisine and offer a few tips on the almost inevitable over consumption of alcohol. In ancient Ireland, the shamrock symbolized rebirth, particularly the rebirth of warmer weather. But the shamrock also has more specific ties to St. Patrick, and remains one of the most recognizable symbols associated with his feast day. Historians believe that, on his return to Ireland (a native of Great Britain, St. Patrick was first taken to Ireland after being kidnapped by pirates, later returning as a Christian missionary after his release), St. Patrick used the shamrock to teach the natives about the Holy Trinity. In fact, an image of St. Patrick holding a shamrock first appeared on coins in 1675. The shamrock’s status as a symbol would continue to evolve when it became a figure of Irish patriotism during the Irish Rebellion of 1798. In 2003, the shamrock was registered as an international trademark by the Irish government. St. Patrick’s Day celebrants who are not of Irish descent and/or those who have never visited Ireland may not know it, but the live music they may hear when entering a pub on St. Patrick’s Day is an integral part of the fabric of Irish culture. 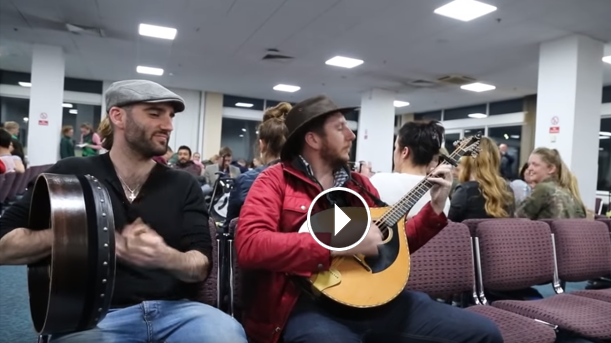 An Irish Session typically finds a group of musicians gathered in a pub to play traditional Irish music, oftentimes while seated at a table among their audience. While many pubs reserve stage areas for their musicians on St. Patrick’s Day, the spirit of session is still present, as musicians often interact with the audience. Many establishments display the familiar Irish tricolor flag on St. Patrick’s Day, and parade goers may even wave miniature versions of this significant symbol in support of those marching. This instantly recognizable flag has a rich history. Equal parts green, white and orange, the flag was designed to foster peace in the country that had experienced considerable turmoil due to the divide between the country’s Protestant and Catholic residents. The green in the flag represents the Irish Catholics, while the orange represents the Irish Protestants. The white is a symbol of hope for peace between the two factions. Though Ireland established the tricolor as its national flag in 1921, it first appeared much earlier when Irish national Thomas Francis Meagher unfurled it in 1848. The color green is everywhere come St. Patrick’s Day, but celebrants may be surprised to learn that blue is the color that was once most affiliated with St. Patrick himself. Numerous paintings depict St. Patrick wearing blue vestments. But green is the color now most instantly associated with Ireland, which is widely referred to as the “Emerald Isle.” Ireland’s lush countryside and rolling green hills attract millions of visitors each year. Corned beef and cabbage might not be a part of many people’s diet regimens throughout the year. But come March 17, it’s not uncommon to find people from all walks of life indulging in this beloved meal. March 17 marks the celebration of St. Patrick, the patron saint of Ireland. Over the years, the day has also become a celebration of the Emerald Isle. Such celebrations tend to feature corned beef and cabbage, even though the dish may have little to do with Ireland (and even less to do with St. Patrick). The precise origins of the link between corned beef and St. Patrick’s Day remain a topic of debate, but some historians say the corned beef enjoyed today can be traced to New York City’s Irish immigrant population in the 19th and 20th centuries, who popularized a salted meat made from brisket that was then sold by Jewish butchers. Regardless of the authenticity of its link to Ireland, corned beef is delicious and many modern Paddy’s Day celebrants wouldn’t think of going without it on March 17. Those who want to cook up their own can try this recipe for “Corned Beef and Cabbage” from Arthur Schwartz’s “New York City Food” (Stewart, Tabori & Chang). Cook a whole brisket with both sections together with all its fat. (You can trim off the fat after the meat is cooked.) Whole brisket and second-cut corned beef brisket are hard to find, but your supermarket should have first-cut corned beef vacuum-packed in plastic. Choose the fattiest piece in the case and treat it gently. You can cook the cabbage and potatoes in the same water as the corned beef. Because the other vegetables need to be cooked in water that simmers more than the meat, scoop out water from the corned beef pot and cook the vegetables in a separate pot or pots. Place the corned beef in a pot that holds at least 5 quarts of water. Cover completely with cold water. Place over high heat and bring to a simmer. As soon as bubbles start to break on the surface of the water, adjust the heat so the water simmers very, very gently. With a slotted spoon, skim off the residue that accumulates on the surface. When the residue stops coming to the surface, add the pickling spices. Continue to cook, with bubbles just gently breaking on the surface, for 3 to 4 hours, until fork tender. For many revelers, St. Patrick’s Day wouldn’t be the same without Guinness, which is among Ireland’s most famous exports. This world renowned and easily recognizable Irish dry stout traces its origins to 1758, when Arthur Guinness began creating it at his brewery at St. James’s Gate in Dublin. The black beer and its familiar white head instantly evoke images of Ireland for millions of people across the globe. While hosts outside of Ireland might not be able to find a keg of the black stuff for their Paddy’s Day party, it is widely available in cans. St. Patrick’s Day is among the most festive days of the year. 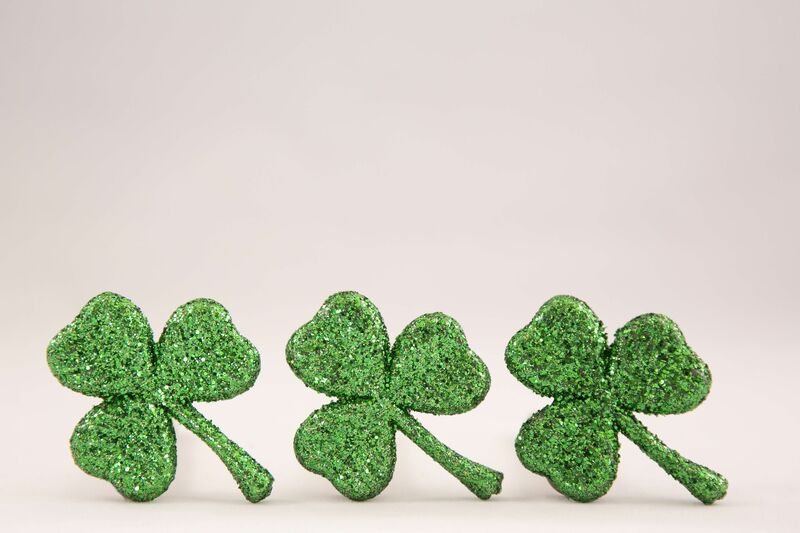 Whether you trace your ancestry to the Emerald Isle or not, chances are you have donned some green, danced a jig and/or hoisted a pint of Guinness in honor of St. Patrick on March 17. The festive atmosphere on St. Patrick’s Day compels some people to overindulge in alcohol. While medical experts warn against such behavior, cautioning adults to only consume alcohol in moderation, many Paddy’s Day revelers throw such caution to the wind. In such instances, a post-Paddy’s Day hangover may be on tap. Many people have their own hangover cures, which may or may not be effective. For those with no such cures in their arsenals, the following strategies may be just the thing to make the day after St. Patrick’s Day go more smoothly. · Stay hydrated throughout St. Patrick’s Day. If you’re going to be hoisting pints on St. Patrick’s Day, hoist glasses of water throughout the day as well. The International Alliance for Responsible Drinking recommends drinking water while consuming alcohol. The IARD notes that alcohol acts as a diuretic. That means that when the body breaks down alcohol, it removes water from the blood through your urine. That can contribute to dehydration, creating some of the more unpleasant effects associated with being hungover. Drink some water with each alcoholic beverage you consume. · Consume electrolytes. According to Merck Source, alcohol interferes with the liver and pancreas, which can result in an imbalance of electrolytes. Electrolytes affect various parts of your body, including muscle function and other important processes. The medical resource Everyday Health notes that consuming electrolyte-rich beverages, including sports drinks, can restore the salt and potassium lost as a result of consuming alcohol. · Get to the gym. While it might seem impossible after a night spent overindulging in alcohol, some moderate exercise may help you feel better, at least mentally. Make sure you’re fully hydrated before hitting the gym so you’re less vulnerable to muscle cramps or injury, and drink water while exercising as well. Exercise releases neurochemicals and hormones, including endorphins, that can help boost your mood and provide some energy on a day when you might benefit from both of those things. St. Patrick’s Day hangovers can be overcome with a handful of strategies.